Last week, me and my husband went to the Hard Rock Cafe in Saket, New Delhi to have our favourite burger the ‘LEGENDARY 10 OZ. burger’. But instead we were welcomed with a new sizzling menu that not only had the best sizzlers from around the world but also a lot of sizzling cocktails. The new sizzling menu is a limited time chance to savour the exotic delicacies, as part of the celebrations for the ‘SIZZLE’ Festival. During this month long celebration, you can indulge in a large spread of delectable sizzlers which will take you for an aromatic journey through the spice fields and citrus farms. Look forward to a sizzling journey of exotic food and music, in true Hard Rock Cafe style. The unique fiesta will tantalize your taste buds with a large spread of classic and delectable dishes sizzled to absolute perfection such as Smoked Chipotle Pepper, Hungarian Steak Stew, Lebanese Veg Fajita, Herb Lemon Crusted Chicken Scallopini and many more. Sizzle on as the DJs spin some groovy ‘rock n retro’ tunes on weekends along with electrifying live performances by bands that battle out to win a once in a lifetime opportunity to perform at a global stage in Barcelona, every Thursday. So join in the Sizzling celebrations and get a chance to say Hola to Espana!! 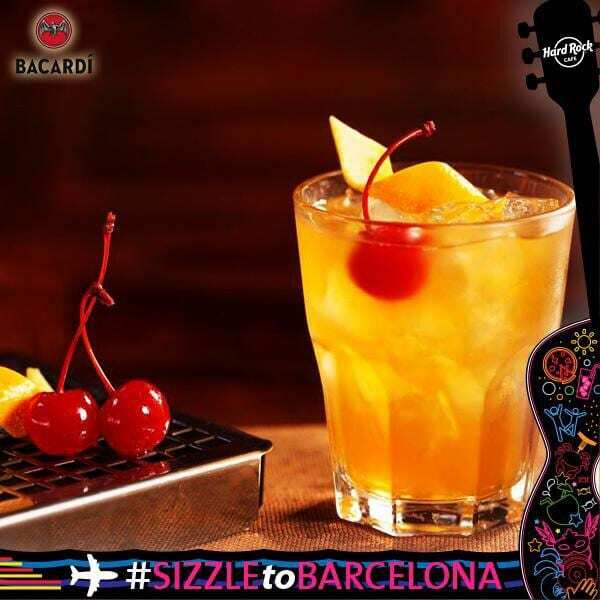 Participate in #SizzletoBarcelona contest and four lucky ones win an all expense paid trip to Barcelona along with VIP tickets to Hard Rock Cafe LIVE Concert, featuring 2015 Rising winners in a three day music festival alongside some of the biggest musicians alive in an international setting! I don’t think so I should lure you people more so go ahead and book a table for yourself and who know’s you might be eating your favourite HRC burgers in Barcelona.